Are you thinking about starting a CFO practice? Or have you already started? If so, how are you doing? Is it easy? Hard? Can’t find enough clients? Or have too many? Or are you a pro in this game? Are you an All Star who would still like to escalate his game? Do you manage a CFO firm of a few or many? Stressed or maybe the game is growing stale? Do you have your training nailed down? Perhaps you are a small CPA or outsourced accounting firm wanting to add CFO services as a value-added deliverable. Regardless of your skill level or where you are in your professional CFO services journey, Free Agent CFO™ will not only teach you the game of CFOing but will continually inspire you to get into the game (if applicable), stay in the game (when you think you’ve had enough), and to grow your game (when you think the game is outgrowing you). 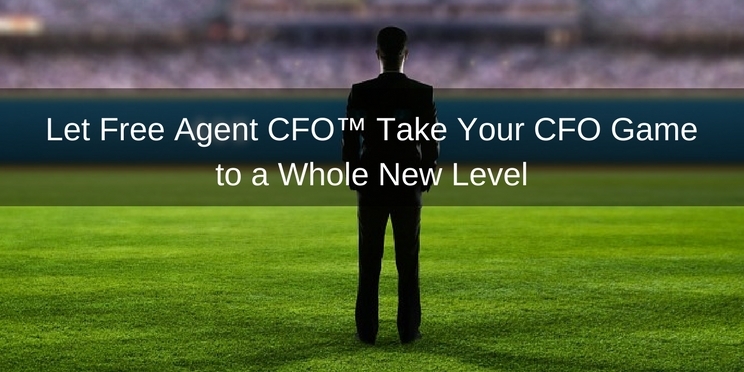 Use the navigation at the right to find out how Free Agent CFO™ can take your game to a new level.